Cricket Australia says a deal was struck with the Australian Cricketers' Association (ACA) on Thursday. Australia A's tour of South Africa was cancelled in July amid the row over the scrapping of a revenue-sharing model. Australia's leading 230 players have effectively been unemployed since the previous five-year agreement expired on 30 June. "We've reached a good compromise, one we can both live with and one that will be good for the game and good for Australia's cricketers," Cricket Australia chief executive James Sutherland told a news conference at Melbourne Cricket Ground. "In announcing this agreement we are restoring certainty, beginning to repair relationships, especially with the fans. We want the focus to be back on the cricket." Cricket Australia produces a memorandum of understanding with the players - represented by the ACA - every five years. The last agreement expired on 30 June. In March, the governing body proposed salary increases for men and women, which removed a clause from players' contracts guaranteeing them a percentage of the organisation's revenue. Australia captain Steve Smith said the players would not "give up" the revenue-sharing agreement, while vice-captain David Warner blamed the board for the dispute. "The players are unemployed and some are hurting financially but continue to train," Warner said on Instagram. 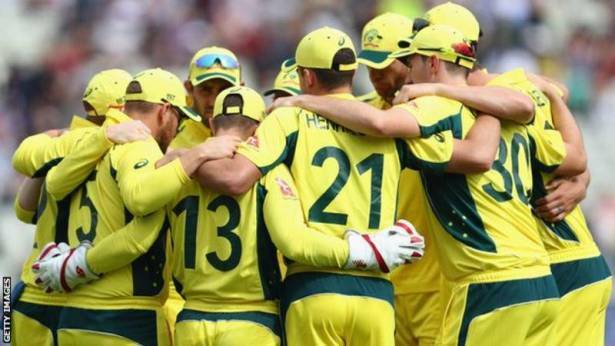 The opening batsman said in May that Australia "might not have a team for the Ashes" if the dispute was not resolved.